When the first image of Jason Momoa as Aquaman debuted, fans were shocked at how badass and Rob Zombie-fied he looked, sporting his tribal armor and tats, not to mention those knotty dreadlocks. He looked like someone you definitely would not want to mess with, but there was also the question of whether we would see him in his more traditional green and orange threads from the comic books, and now an interview with the actor for The Robot’s Voice makes it sound like we may yet see the King of Atlantis unite the seven in style. Momoa also confirmed that he has indeed already been scanned for toy-making purposes, so keep an eye out for those bathtub-friendly Aquaman action figures very soon, hopefully in time for Christmas. While his debut appearance in Batman v Superman: Dawn of Justice is rumored to be brief, there’s a rumor that Arthur Curry/Aquaman may drop by as a death row guest at Belle Reve Penitentiary in the next Warner Bros. and DC Extended Universe film Suicide Squad before joining director Zack Snyder’s The Justice League Part One in 2017 and then his own James Wan-helmed solo film titled simply Aquaman on July 27, 2018. Batman v Superman: Dawn of Justice stars Henry Cavill in the role of Clark Kent/Superman, and Ben Affleck as Bruce Wayne/Batman. The film also stars Gal Gadot as Diana Prince/Wonder Woman, with Amy Adams, Laurence Fishburne and Diane Lane returning from Man of Steel, and Holly Hunter in a role newly created for the film. 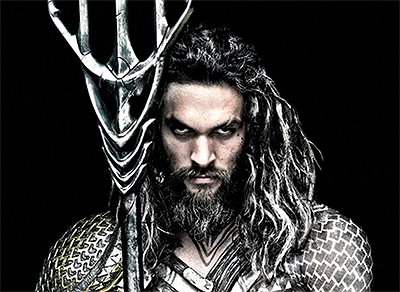 Jason Momoa will also be making an appearance as Aquaman. The film is set to open worldwide on March 25, 2016.